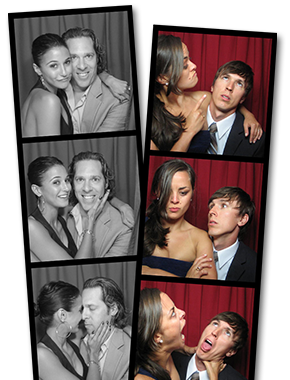 We love photobooths, and we respect their long history. 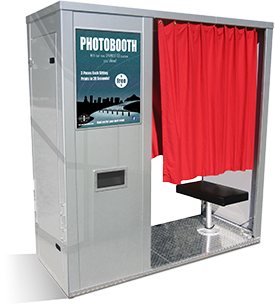 Our custom-designed rental photo booths are beautiful to behold and built for modern needs while remaining true to the iconic look of vintage picture booths. No theme park knock-offs or pipe-and-drape kits here. Gracefully-styled with weddings in mind – our photo booths have both the aesthetic appeal to match the most elegant events, and the whimsical flair perfect for an unforgettable party. Roomy enough for up to eight people to pile in and have their faces in frame. It’s your wedding – go with the best. Our traditional Open Air Booth and our just released Bellows Booth shoot out in the open with a backdrop. 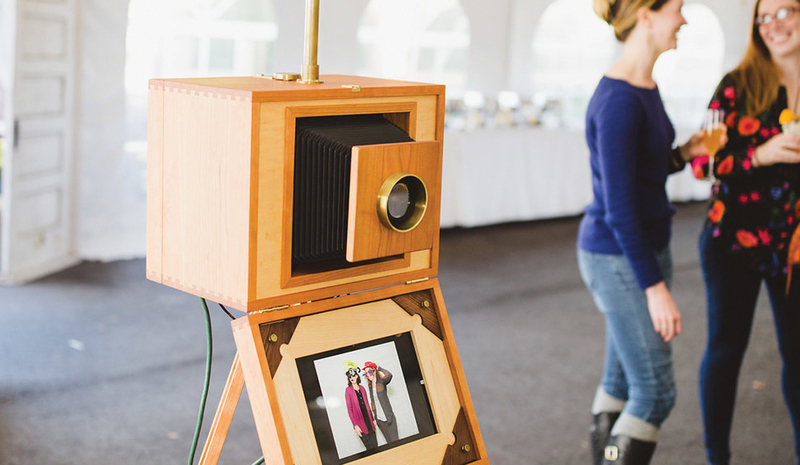 While these booths allow for larger groups, like our traditional, vintage-style photo booths, guests push a button to have their pictures taken. Two identical strips of three, high-quality, glossy photos (black and white or color, and customizable to include text) print out in seconds. 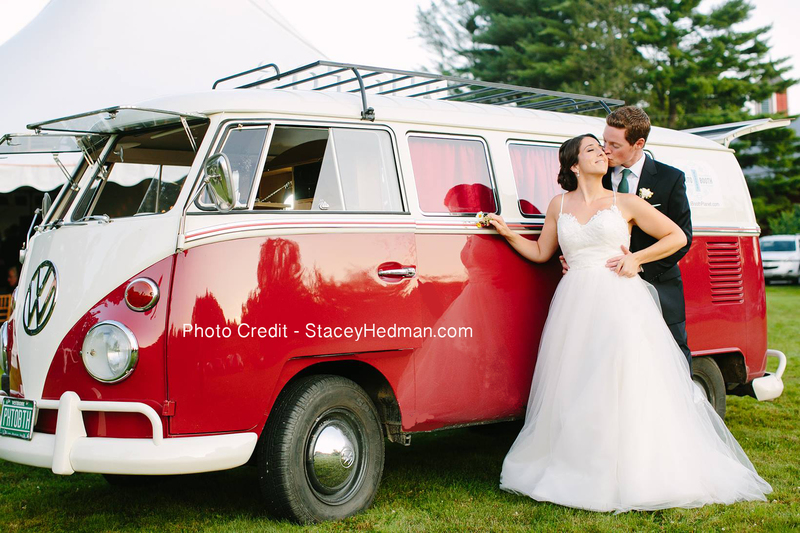 Ruby is a lovingly-restored, Ruby Red, 1962 VW bus that has been converted into a rolling photo booth. Like our traditional, vintage-style photo booths, guests sit down inside, close the curtain, and push a button to have their pictures taken. Two identical strips of three, high-quality, glossy photos (black and white or color, and customizable to include text) print out in seconds in the back hatch of the bus. More at rubythephotobus.com. 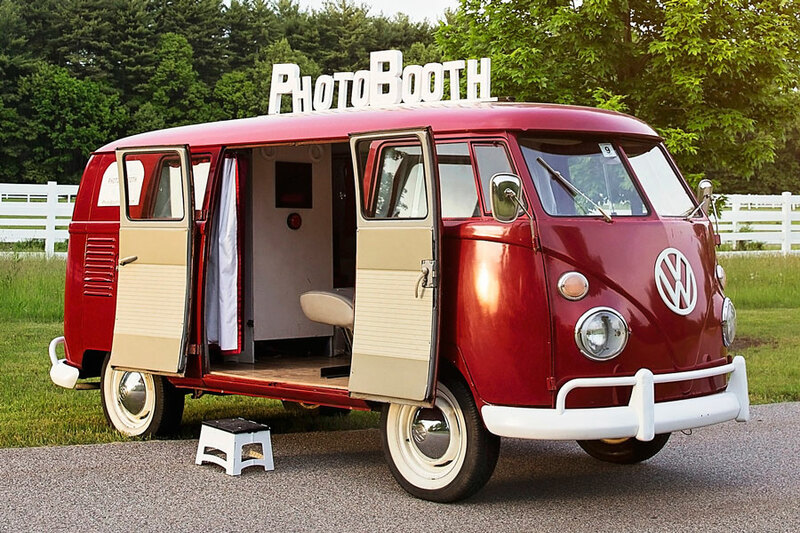 Scarlet and Bernie (#feelthebern) are a pair of newly restored red-and-white 1960’s Volkswagen Buses that have been converted into rolling photo booths. Like our traditional vintage-style photo booths, guests sit down inside, close the curtain, and push a button to have their pictures taken. Two identical strips of three, high-quality, glossy photos (black and white or color, and customizable to include text) print out in seconds. 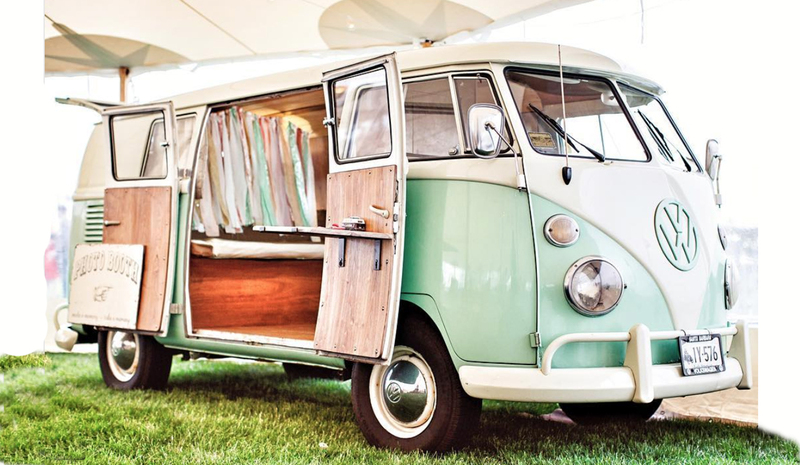 Chloe is a lovingly-restored, sea-foam green, 1967 VW bus that has been converted into a rolling photo booth. Like our traditional, vintage-style photo booths, guests sit down inside, close the curtain, and push a button to have their pictures taken. Two identical strips of three, high-quality, glossy photos (black and white or color, and customizable to include text) print out in seconds. Bella is not only a beautiful restoration on the outside, but she is also equipped with advanced photographic equipment inside to produce strikingly clear, high-quality photo strips to capture new memories today! Two identical strips of black and white or color photo strips print out in seconds. 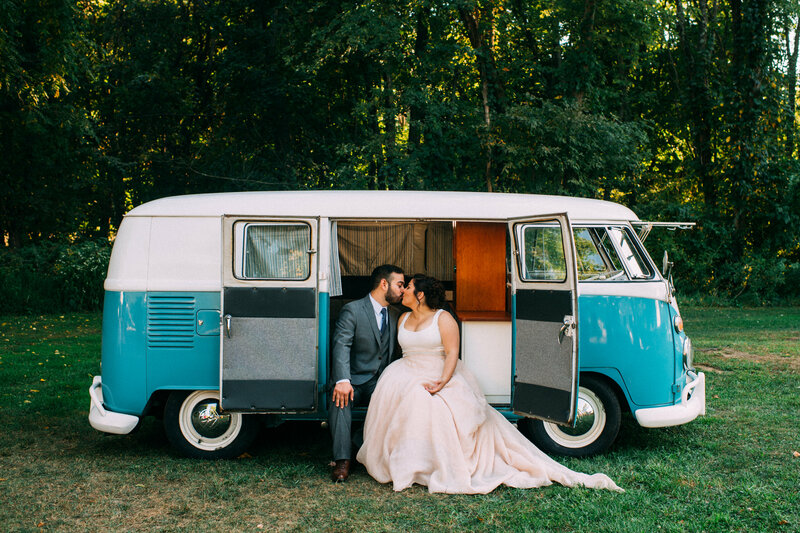 Meet “Lizzy” the Airstream Photobooth! She is a 1968 Airstream Caravel, named after our daughter Lindsey. 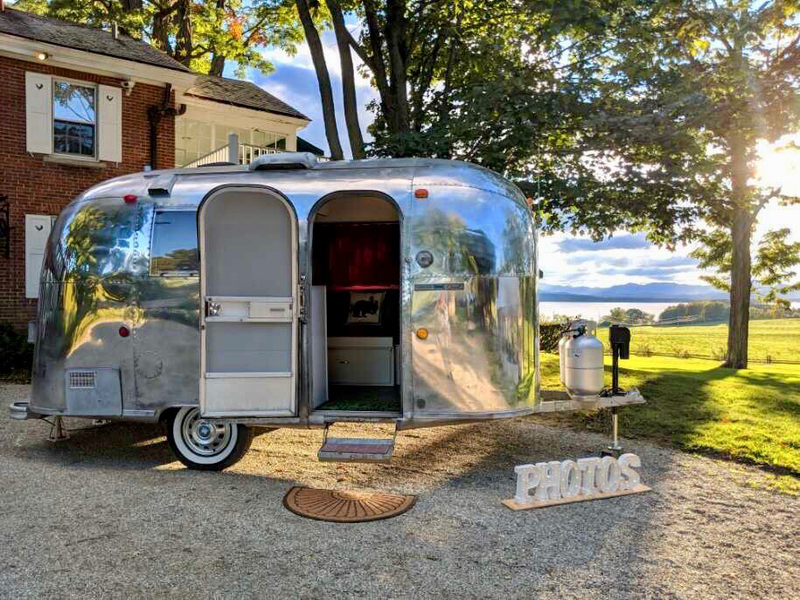 This shined up and restored aluminum Photo Booth takes “glamping” to a new level, combining fun booth bonding in a cool, retro vehicle that delights everyone who steps in.